How to migrate Windows 8/8.1 from one computer to another with different hardware is a hot topic searched on the internet. Have you got any idea? If not, this article will give you a satisfactory answer. When will you consider to migrate Windows 8/8.1? Windows 8 and Windows 8.1 has gained popularity with the changing times, and more and more users have been get used to the whole new look as well as the operation. Suppose if it happens that someday your computer is running slower and slower, and system reinstallation makes no sense, you will surely thinking about to buy a new one as a replacement. However, the old computer contains a large amount of useful installations that you just want to migrate the whole Windows 8 or 8.1 to the new computer, is this realizable? Another case is more persuasive. When a company has got numbers of new computers to install, would you mind to deal with them one by one? I’m afraid you have been shocked when hearing about this troublesome task. But don’t worry; every matter has its own solution. As mentioned above, every matter has its own solution. So what’s the practical solution to this problem? 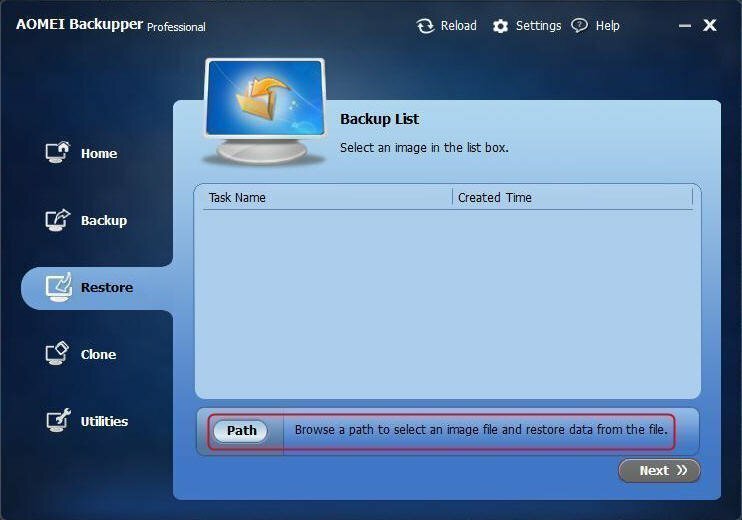 Here a popular tool of a great backup and restore software will be recommended to you. It is called "Universal Restore" of AOMEI Backupper. Universal Restore aims at restoring system image created on one computer to others. 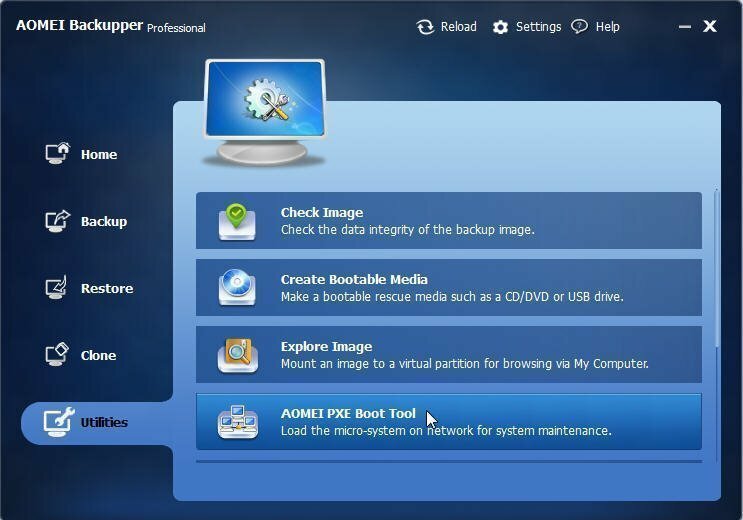 Different from common system image restore, Universal Restore of AOMEI Backupper can guarantee the normal boot-up after the system image restore. 1. First of all, a Windows 8 system image is needed. So download AOMEI Backupper Professional, install and run it. 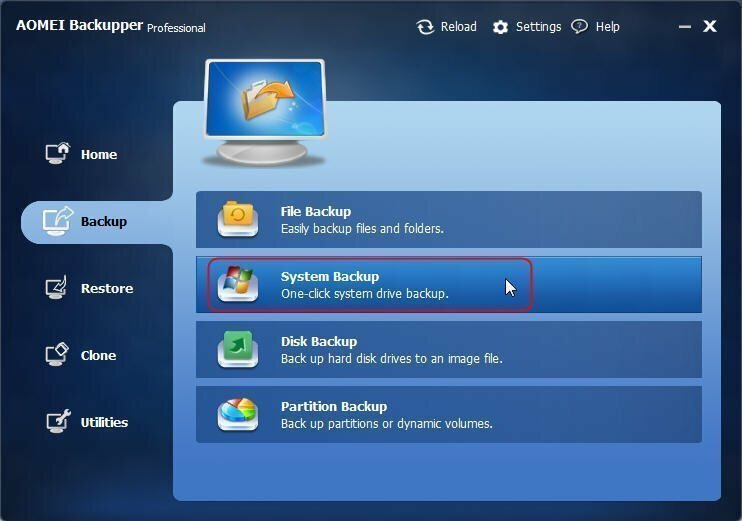 Click the System Backup button under the Backup tab to make a system image. 2. 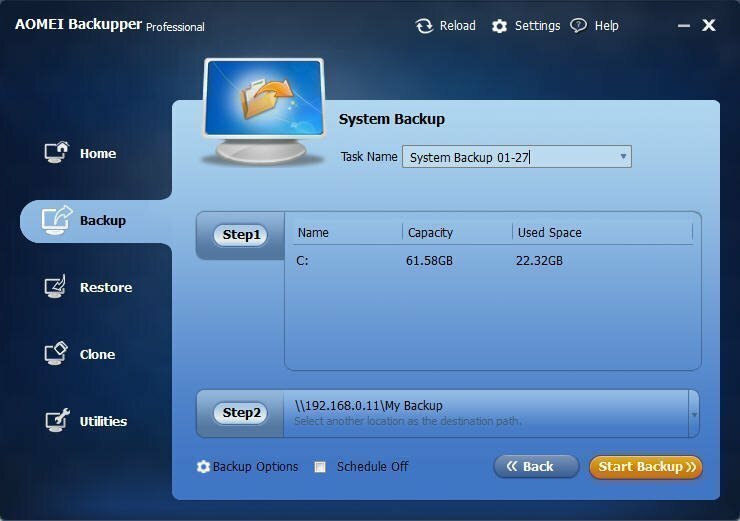 You see you can identify the task name here, and AOMEI Backupper has automatically chosen the source partition for you. The only thing you need to bother is the Step 2: choose a destination path. In order to make universal restore much easier, backup Windows 8 to share network/NAS is highly recommended. 3. When the System Backup is finished, turn Backupper’s interface to the Utilities to open AOMEI PXE Boot Tool. 4. Choose an option to start the service. 5. Now you need to open the different computer, after setting it/them booting from internet, it/they will enter into AOMEI Windows PE. There you will find AOMEI Backupper. Click Restore tab to select an image file to migrate Windows 8. Note: Since you have already saved Windows 8 system image to share network/NAS, you are expected to find that system image by browsing the share network/NAS. 6. 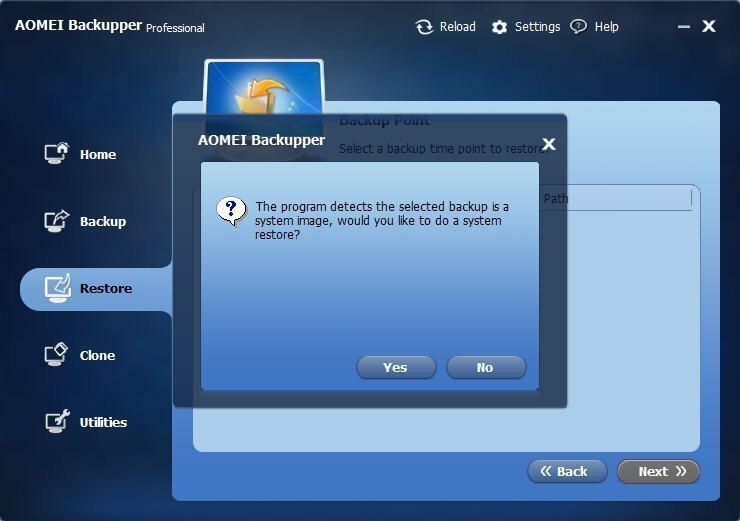 AOMEI Backupper will pop out a small window to inquire whether you would like to do a system restore. Click YES to confirm the operation. 7. 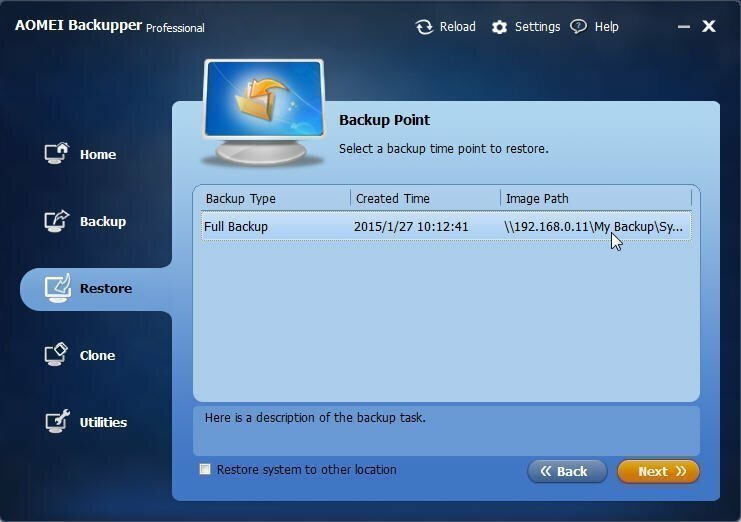 Now select a backup time point by clicking on the image. Click Next to continue. 8. Finally comes the operation summary. Remember to check the information and tick the Universal Restore button. Start Restore now. 9. 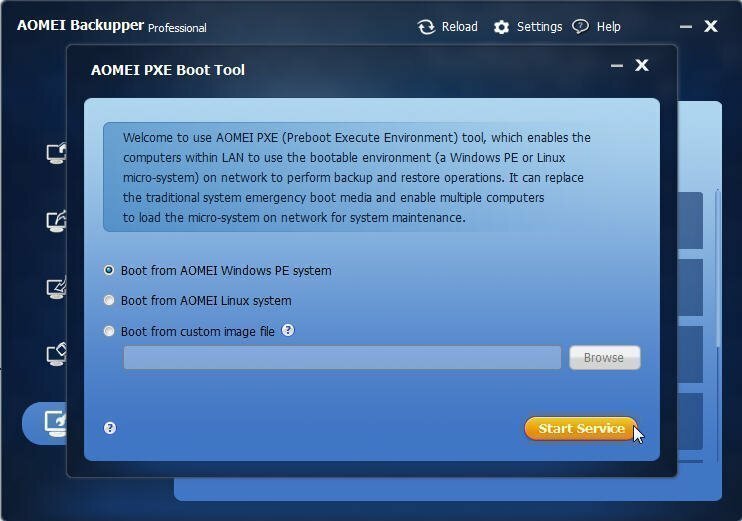 After migrating Windows 8, exit AOMEI PXE Boot Tool service. Next time you open the different computer(s), you will find that it is (they are) completely the same with the source computer. The more computers you need to restore, the more obvious the advantage of Universal Restore is. Tips: You may need to partition your hard drive of new computer after the system restoration. AOMEI Tech offers FREE and powerful partition software - AOMEI Partition Assistant - for you to better manage your hardware. Download and have a try.